Turkish to English Translation of 2 complaint letters. General / Conversation / Greetings / Letters, Human Resources No comment. Management, Business/Commerce (general), Advertising / Public Relations No comment. English to Turkish Clinical trial protocol summary relating to Wilson Disease. Document translation on how businesses are embracing digital technologies in their workplaces and how business world is rapidly evolving around digital technology. Advertising / Public Relations, Business/Commerce (general) No comment. Games / Video Games / Gaming / Casino, Games / Video Games / Gaming / Casino No comment. Transport / Transportation / Shipping No comment. Press release relating to the intelligent devices, cloud workflow solutions and multifunctional printers. Advertising / Public Relations, Business/Commerce (general), Advertising / Public Relations No comment. Human Resources, General / Conversation / Greetings / Letters, Tourism & Travel No comment. Turkish to English Translation of a letter from human resources department. Automotive / Cars & Trucks, General / Conversation / Greetings / Letters, Human Resources No comment. Proofreading of a legal document relating to a divorce decree. Turkish to English 11 Letters of complaint. English to Turkish Translation of research project evaluation report. Several documents relating to the controlled cannabis cultivation including website pages, press releases, newspaper articles. Agriculture, Government / Politics, Botany No comment. General / Conversation / Greetings / Letters, Business/Commerce (general) No comment. translation of a legal project relating to a distributorship agreement. Contract relating to general terms of service and supply. Management, Petroleum Eng/Sci No comment. Advertising / Public Relations, International Org/Dev/Coop, Internet, e-Commerce No comment. A translation task of a marketing letter from the president of a leading global company in MedTech areas and a statement of their key objectives. Business/Commerce (general), International Org/Dev/Coop, Internet, e-Commerce No comment. "a new year message" from the president of a multinational imaging and electronics company. Business/Commerce (general), General / Conversation / Greetings / Letters No comment. English to Turkish Translation of a marketing document. Turkish to English Translation of a market research document, consultant responses. Translation of a market research document relating to consultant responses about various medication and treatments that they use for an eye condition. Medical: Pharmaceuticals, Marketing / Market Research No comment. Translation of 2 short complaint letters about a beverage drink producer involving management. Marketing / Market Research, Medical: Pharmaceuticals No comment. Automotive / Cars & Trucks, Automotive / Cars & Trucks, General / Conversation / Greetings / Letters No comment. Business/Commerce (general), Internet, e-Commerce, Management No comment. One hour review of a translated service agreement concerning clinical trial drug. Law: Contract(s), Medical: Pharmaceuticals No comment. Turkish to English Translation of a complaint letter. A complaint letter from a staff member of an international world leading company in the hospitality sector. Food & Drink, General / Conversation / Greetings / Letters No comment. English to Turkish Translation of a site manual of a company that supports medical imaging. Site manual for a clinical trial on metastatic breast cancer patients that includes clinical trial procedures, protocol assessments, radiographic studies guidelines, imaging capabilities questionnaire, baseline clinical subject profile, study specific forms. Translation of hazard and precautionary statements and signal words for unstable explosives. Leaflet containing general information for asylum seekers relating to the care and custody they expect to receive. Proofreading of a document relating to financial analysis and report. Contract translation concerning the work for installation of signalisation and telecommunication systems. Law: Contract(s), Transport / Transportation / Shipping, Transport / Transportation / Shipping No comment. Turkish to English Translation of a marketing document. Business/Commerce (general), Marketing / Market Research No comment. English to Turkish Translation of a document about hazardous substance management. Document translation about minimum requirements, principles, processes and responsibilities in order to manage hazardous substances to minimize risk in relation to health, safety, security and environment (HSSE). Translation of the production credit info. An international company's code of conduct document, including the message from chairman and CEO, information about their business principles, stakeholders, ethics committee and employees. Business/Commerce (general), Management No comment. Translation of the rules of an online game, player registration form and sign in and home page content of the website. Medical: Instruments, Medical: Pharmaceuticals No comment. Medical (general), Medical: Health Care No comment. Medical: Health Care, Medical: Instruments, Medical: Pharmaceuticals No comment. Linguistic proof of documents relating to a subject dosing diary and subject information card. English to Turkish Editing of a site manual relating to a clinical trial. A clinical trial protocol of a randomized, double blind, multicenter, parallel-group, phase III study to evaluate efficacy and safety of a drug. Administration Manual for the Activities of Daily Living (ADL) Inventory. Site manual including site initiation procedures, facility qualification, media and data formats and transport information, protocol assessments, radiographic studies guidelines, MRI and X-ray procedures, nuclear medicine bone imaging, FDG-PET scans, baseline clinical subject profile form, Cytology report form, clinical PD form, IMT submission form, supply request form, imaging capabilities questionnaire, de-identification and labelling of data. Proofreading of a copyright project relating to several little teaser texts for a well known supermarket in Turkey. Marketing / Market Research, Business/Commerce (general), Advertising / Public Relations No comment. Advertising / Public Relations, Business/Commerce (general), Marketing / Market Research No comment. Business/Commerce (general), Advertising / Public Relations No comment. Informed consent and patient information sheet relating to a study drug and clinical trial. Study drug protocol for the acute treatment of the patients with Schizophrenia. Informed consent, subject information sheet for a clinical trial relating to a drug in the Acute Treatment of Adults With Schizophrenia. Translation of a trial agreement. Medical: Pharmaceuticals, Law: Contract(s) No comment. Finance (general), Medical (general) No comment. Various documents such as appointment card, informed consent, retention welcome brochure, visit guide, doctor letter, patient letter, retention website, poster, site radio advert relating to an investigational drug for the treatment of Rheumatoid Arthritis. One patient survey question, about a scale measuring the rate of the pain level caused by the study drug in the injection region. English to Turkish Translation of a participant questionnaire relating to a study drug. Translation of doctor's report giving diagnoses and treatment plan for a patient and its related invoices. Turkish to English Editing/proofreading 2248 words of Media documents. English to Turkish Proofreading of large document relating to code of conduct. This project was related to a document describing the presentation of a high end holiday hotel restaurant at mealtimes. The document was intended for use by hotel managers and restaurant staff. Turkish to English Editing/proofreading 2100 words. Medicical reports and legal documents.. The project consisted of proofreading and editing the translated documents comprising 2100 words. Documents included medical reports and several legal documents including driving licenses, tacograph, car accident report etc. Medical: Pharmaceuticals, Medical: Health Care, Law (general) No comment. Turkish to English Translation of 2 letters of complaint in the marketing sector. 2 letters of complaint in the marketing sector were translated from Turkish into English. Unlisted : very good translator. She delivered quality and respected the deadline. Good work! The project was a translation of the response to a letter of complaint. The document consisted of statements made by hotel management refuting claims that a guest had suffered a fall in the restaurant area. Turkish to English Editing&proofreading of documents relating to a bank investigation report. The document dealt with a report relating to an investigation of funds which had gone missing from a bank. Finance (general), Business/Commerce (general) No comment. English to Turkish Translation of financial and administrative reports of a factory. Translation of financial and administrative reports of a factory such as costs, annual leaves, personnel details, port information, salaries, working hours etc. Accounting, Business/Commerce (general), Engineering: Industrial No comment. Translation of a portable monitor and camera control unit which connects a camera reel. Mechanics / Mech Engineering, Electronics / Elect Eng No comment. Translation was to confirm the completion of a barbering course to obtain partially skilled certification. Website content has information that aims to reinforce young women with their problems. Instructions of poker and summary of "hand history"
Discrimination act on ethnicity, disabilities, gender, gender identity, faith, sexual orientation and age. Swedish Green Party's brochure explaining their motives on how to establish and sustain a modern, environmentally-friendly and humane Stockholm. Website translation of online casino including casino games, slots, table games, poker games such as jacks or better, deuces wild, all America, casino hold'em, txs hold'em etc. Document translation for a national resource centre In Sweden on assistive technology and accessibility for persons with disabilities. Correspondence between the solicitor and his client regarding to defence case statement. Large translation project of number of files, including healthcare productions, website context, consent form, emails to the website visitors, surveys etc. Medical: Health Care, Medical: Health Care No comment. A letter in which a solicitor advising her client. Legal corresponding between the solicitor and his client following to magistrate court hearing. Arranged according to Feng shui philosophy. Very dark browns and blacks dominate the scene. There is a ‘cage saloon’ in the center, a bar on one side and on the other a wine cellar containing dozens of varieties of domestic and foreign wines, at the far side the kitchen is visible through semi transparent blue glass. On the terrace, there are four ‘cages’ each of which looks like a giant pergola, one is used as a bar and the others as restaurants. The kitchen covering 400m2 has two giant aquariums from which fresh seafood is served. The menu at Hakkasan; consists of starters, soups, seafood, main courses and deserts. Vegetables, rice or noodles can be served as side dishes according to preference. The golden rule is ‘to share’. The food ordered is placed in the centre of the table so everybody can try all the dishes. For a table of four, at least three starters, 2-4 main courses, one plate of vegetables and one plate of noodles or rice are recommended. The portions are not too large, the presentation is made with upmost care and with aesthetic appeal in mind. The lounge area at the entrance where you can spend some time and have a drink prior to your meal is the only place smoking is allowed. Heavy tobacco smell masks the delicate aroma and taste of Oriental Cuisine, so it is forbidden to smoke in the main eating area. Experience Years of translation experience: 20. Registered at ProZ.com: Mar 2009. Became a member: Jul 2011. “I am a native Turkish speaker. I gained my bachelor degree in Economics and Politics at the Uludag University, in Turkey from 1994 to 1998 and my post graduation degree in teaching again at the Uludag University in Turkey from 1998 to 1999. I currently study towards my MSc in Psychology and Spanish. During my studies, I had active roles in Student Societies as I am the founder of DUPET Student Society (Politics Debating Society) at Uludag University. I then worked in the textile industry based in Istanbul as the brand manager, dealing with international clients in the UK, United States and Canada as well as other non English speaking countries using English as the ‘lingua franca’. I have worked with numerous companies throughout the UK, including Princess Yachts, Karen Millen, Henleys, Quiksilver, Goldbergs Solicitors etc. 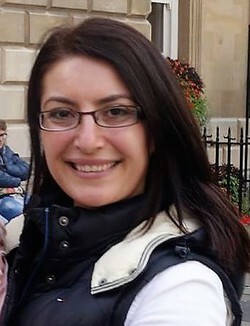 I am now married and moved to England where I began working as a freelance sworn translator, interpreter and language tutor with various businesses, translation companies, academic institutions and government agencies who have links with Turkey or Turkish speaker clients and who therefore may periodically require such services. I am listed as local interpreter and translator for Plymouth City Council, Bristol City Council, Cornwall County Council, Bath&North Somerset and Avon City Council, South Devon Health Care NHS, Devon Partnership NHS Trust, The Insolvency Service, Devon &Cornwall Constabulary (Criminal Justice, Police Forces), Ethnic Minorities Organizations (Bristol/Plymouth) and many more. Through my translation and interpretation experience, I gained membership of the Turkish Association of Translators Çeviri Derneği, member of FIT In 2004 as a sworn translator.